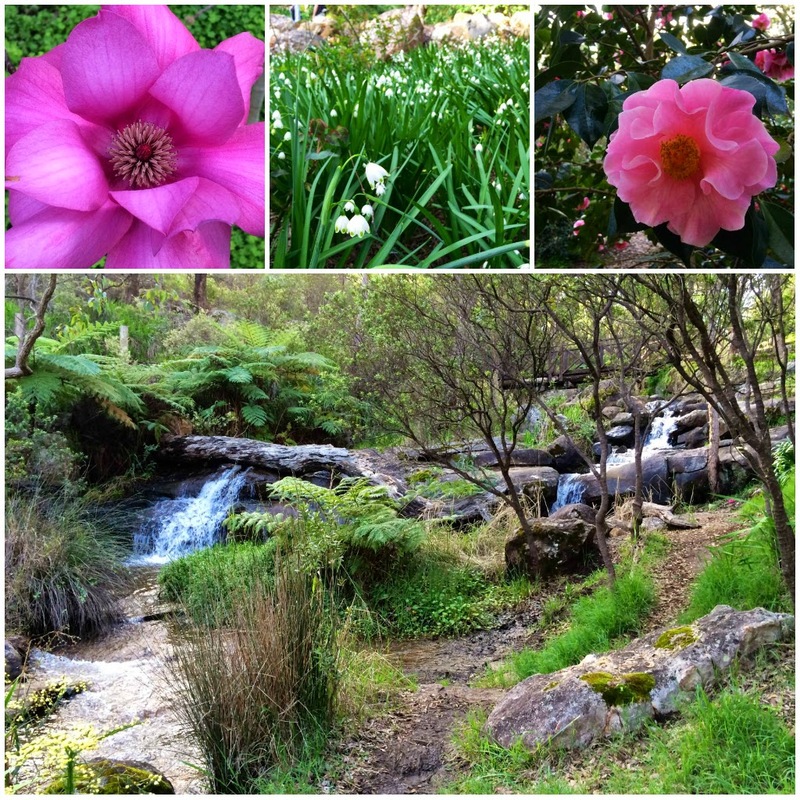 A few weeks ago I went on a picnic with my mum, sister and MR's mum to Araluen Botanical Garden which is about a 50 minute drive from where I live in Perth. I hadn't been in about ten years and really wanted to go again before I moved back to the country because then it will be even further away and trips to Perth will already be cram packed with other things that need to be done. It was a beautiful Winter's day. Sun mostly shining, breeze not too strong. We all brought something to share and some blankets to sit on before we left our food bags sitting under a tree and went for a wander around the quite large park. The reason I was so keen to go is because of the flowers. 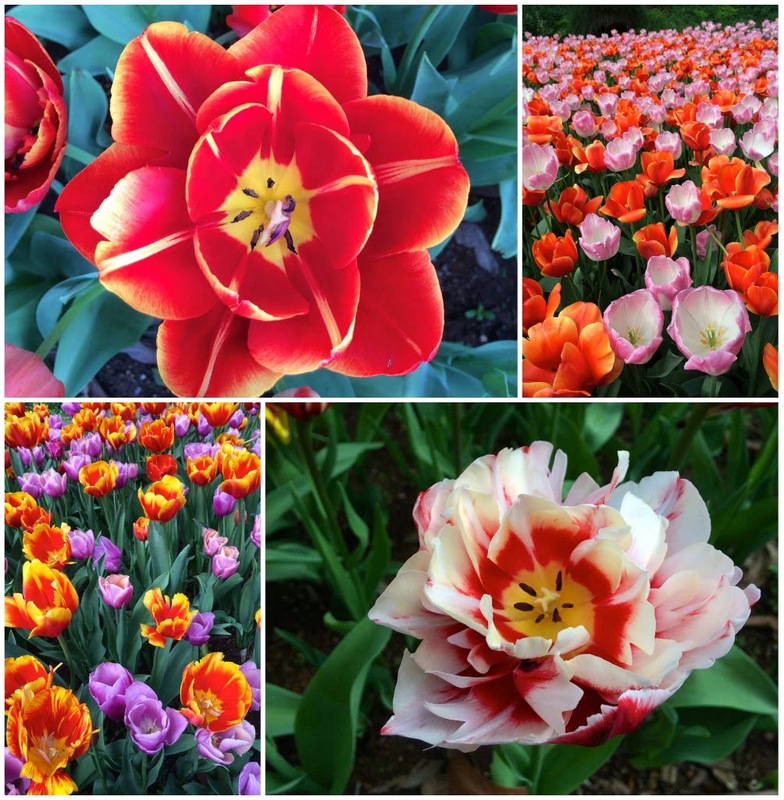 Each Spring (late Winter really) is tulip season at the park. 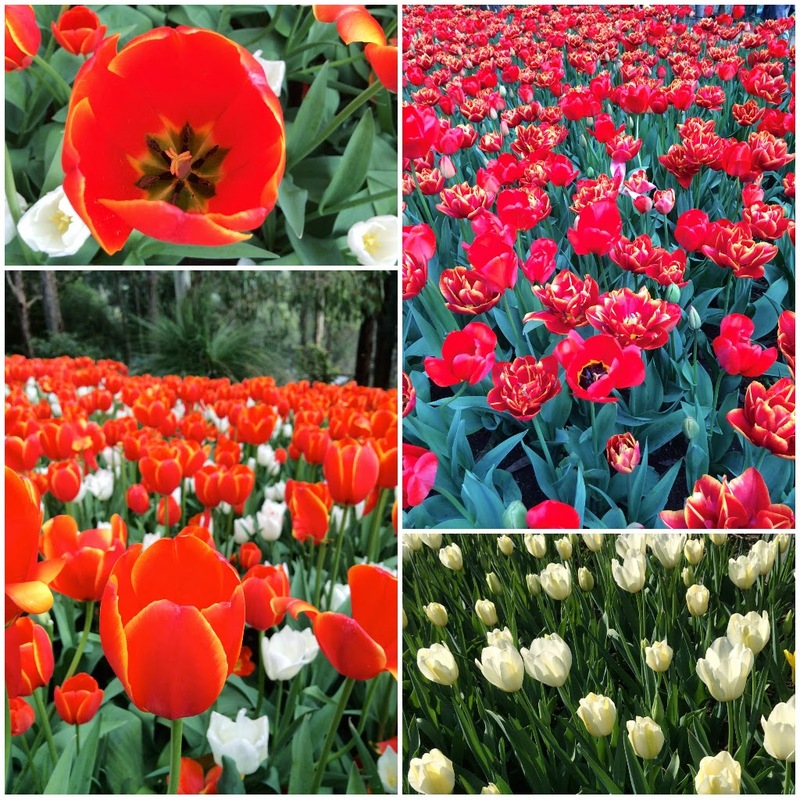 There are thousands of Spring bulbs planted each year and it is just so beautiful to go and have a walk through the gardens and see all the beautiful displays. I really love Spring bulbs, they are my favourite flowers. Tulips, snowdrops, daffodils, bluebells. I could fill my garden with them. I do try but unfortunately I only have intermittent success. This year, out of all of my bulbs, only my bluebells flowered. And next year, in the country where it not really the climate for bulbs I will probably only get some jonquils which are already established around the fruit trees up there. So I enjoyed them all the more in the gardens when I went to visit. Spring bulbs are definitely my favourites too! Daffodils, jonquils, freesias. So much love!! So beautiful. I thought about taking the kids this year but everything has been a bit crazy with shifting house it will have to wait till next year. Oh, what beautiful gardens. 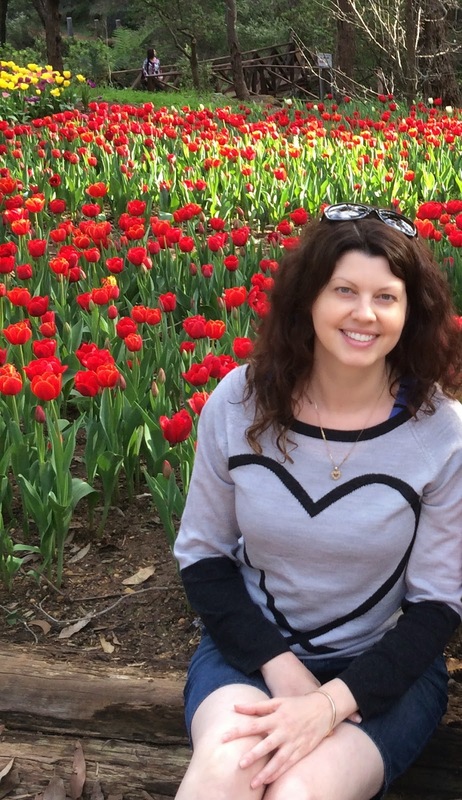 I loved going to our Botanical Gardens when I lived in the South. I would go every week if I lived there now! !